Lightroom Classic Tutorials > Editing Photos > Color Management > How do I change my monitor profile to check whether it’s corrupted? On Windows 7/10, go to Start menu > Control Panel > Color Management or type color management in the Start menu search box. On Windows 8, use the Search charm to search for ‘color management’ and then select Settings > Color Management. From the Device pop-up, select your monitor. If you have more than 1 monitor connected, pressing the Identify monitors button displays a large number on screen for identification. Check the Use my settings for this device checkbox. Go to System Preferences > Displays. Turn on the Expert Options (hidden on El Capitan) and calibrate to gamma 2.2. Finally, restart Lightroom and check whether everything looks correct. If it does, you’ve confirmed that the previous monitor profile was the cause of the problem. You can temporarily leave sRGB as the monitor profile, as it’s better than a corrupted one, but it would then be wise to calibrate your monitor accurately using a hardware calibration device. The only real way of calibrating a monitor is with a hardware calibration device. Software calibration is only ever as good as your eyes, and everyone sees color differently, but calibration hardware, such as the ColorMunki, i1 Display Pro or Spyder devices are now inexpensive, and an essential part of every keen digital photographer’s toolkit. Most calibration software offers an advanced setting, so if it gives you a choice, go for a brightness of around 100-120 cd/m2, 6500K or native white point for an LCD monitor, and most importantly, an ICC2 Matrix profile rather than an ICC4 or LUT-based profile, as these more recent profiles aren’t compatible with many programs yet. Victoria – you are brilliant! I’ve been futzing around with this problem for hours and you had the answer – thank you so much! Thanks Rebecca. We’d love to have your help on the forum! This cured my LR colour problems up perfectly; thanks so much. What if your monitor profile is not corrupt… would you have something after this that can be tried? Unfortunately this did not fix my problem. Post it on the forum at http://www.lightroomforums.net and we’ll talk you through other possibilities Allison. You’ll need to tell us more about the symptoms you’re seeing too. If you have calibrated your monitor, why would you choose sRGB IE61966-2.1 (sRGB Color Space Profile.icm) as your default profile? Thanks! Only as a test to see if the monitor profile is the cause of the problem (where the photos are a funny color in LR). More frequently it’s the manufacturer’s profiles that cause problems, rather than proper calibrated ones. Thank you Victoria, I had this problem and your very clear instructions took care of it! Thanks very much Victoria. I thought I had caused it somehow but this profile seems to have fixed the warming problem. Thanks so much Victoria….. I was losing hope! Many, Many, Many Thanks!!!! It was a nightmare and you save me! OMG that made my day!! I was trying and searching for hours and finally found your hint. Thank you for a great article on this. I have just recently updated my (Late 2012) iMac to El Capitan. I have calibrate both my iMac and MBP Retina (Late 2013) with ColorMunki Photo. I just recently started having problems with my photos exported as sRBG jpgs out of Lightroom and sent to my iPhone via iMessage. Have you encountered the issue with viewing your photos on you phone that you send to yourself appearing desatured and flat? Would love to hear your thoughts as I have been futzing around and know that my color profile settings are correct and it’s so upsetting and annoying. As someone who uses social media for marketing, I am having to re-edit the photos I send to myself via iMessage on my phone again because it has completely lost its original edit from what I see in LR from my iMac and/or MBP. Any insight or help is appreciated. Thank you in advance! Hmmmm, desaturated and flat would usually suggest a wide color space like ProPhoto RGB, so I’d first double check that you’re definitely exporting sRGB JPEGs. I am exporting them as sRGB jpgs. I have been doing this for a while now and this is the first time it has been happening. Odd indeed. Could your monitor profile have become corrupted? Many thanks! Spent 6 hours on this before I found your solution. Made my day! I use an x-rite display tool. I am having a problem with thumbnails not showing my edits when I synch several images at the same time. 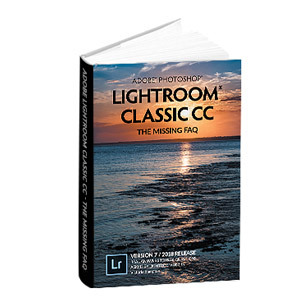 If I close and backup Lightroom classic CC I am good for another few hours. Is there a place where I should be adding more hard drive space? I got nowhere with Adobe help, they promised a call from a higher tech which never happened. I am using raw files saved as DNG. That’s an odd one Cheryl. Report it at the Official Feature Request/Bug Report Forum at https://feedback.photoshop.com/photoshop_family/topics/new/add_details?topic%5B because the engineers hang out there. Wow thank you! I’ve been having issues for a while and I thought lighroom was the issue. This fixed the problem right away. thanks a lot ma’am! You fixed it like magic! thank you a lot! Thanks Victoria, This article helped me to get my grey thumbnails fixed. It was very annoying for a while and I had tried many different ways to fix it. I had to attach all my external hards every time to be able to see my catalog thumbnails..
I’m confused because I calibrated my monitor using Spyder 5 pro with display Cal and suddenly lightroom looks completely different than my exported images. When I followed your steps and went back to the srgb profile it corrected the issue. Why would the calibrated profile be corrupt? Ive tried calibrating it several times and the problem continues to cause my images to look different once exported. Any suggestions? What are you using to view the exported photos? And on which operating system? From your description, it sounds like you’re simply viewing the photos in non-color-managed software. I was also hoping that was the issue. I have tried multiple color managed photo viewers (such as Irfanview) and my images look de-saturated. Unfortunately, my images print for mpix with the same color tones as the basic windows photo viewer. I export srgb, 300 resolution, 100 quality. Any other thoughts? I am working on a touch screen hp envy 360. If you import one of the exported photos back into Lightroom, do they look the same as the edited one? The exported jpg image imports back into lightroom with the identical color saturation that the original raw edited image has in lightroom. You can’t tell the difference between the two as long as I am viewing them in lightroom. Now I am really confused. Thank you for your help!! That’s good, that means there’s no problem with the export, and still makes me think the other app isn’t fully color managed. Have you tried something like Photoshop? It looks identical in lightroom and photoshop. Is there a photo viewer that you recommend using to view exported images? 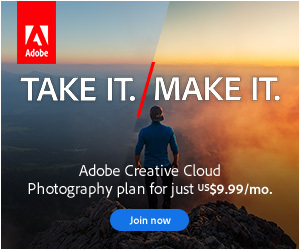 My only concern is that it does not print the way it is shown in lightroom/photoshop. Lightroom and Photoshop are both fully color managed, so they’re your best bet. Your next question is why the prints aren’t matching what you see there, but that’s probably a conversation for the forum (see the link in the menubar). Just wanted to thank you for the good advice. For me, I was getting oversaturation in the LR web module, compared to Develop and Library. I was _also_ having the problem in web browsers with cinemagraphs I’ve been creating, _and_ when playing h.264 videos on my PC (looked fine in Premiere and AE, but when played in a colour-aware video player, the same over-saturation problem). Very confusing, as my Eizo screen is hardware calibrated (Windows 10). What I did was swap the default profile to sRGB, restarted LR, then quit LR and set my hardware calibrated profile back to default. That has solved my problem (and made me breathe a big sigh of relief that my clients have been seeing, and not mentioning, this oversaturation problem. Phew!!). Thanks alot it solved my problem.